Sassy Seagull Cottage started out with a very large enclosed front porch--21.5 feet wide and 9 feet deep! We knew that we were going to use it as a dining room but didn't need 21.5 to fit in a generously-sized table and chairs. 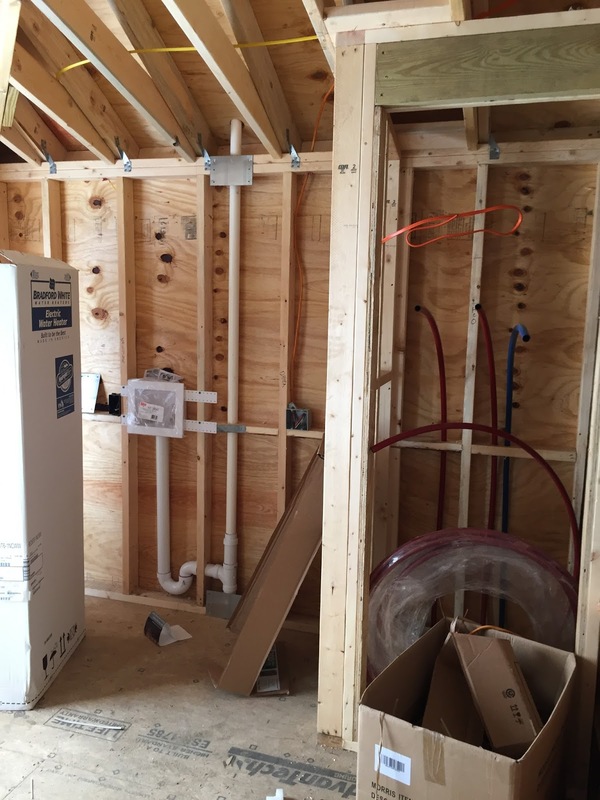 So we decided to section off a portion to put in a laundry room/utility room housing the water heater, panel box, owner's closet and of course, a washer and dryer. in the photo above is. 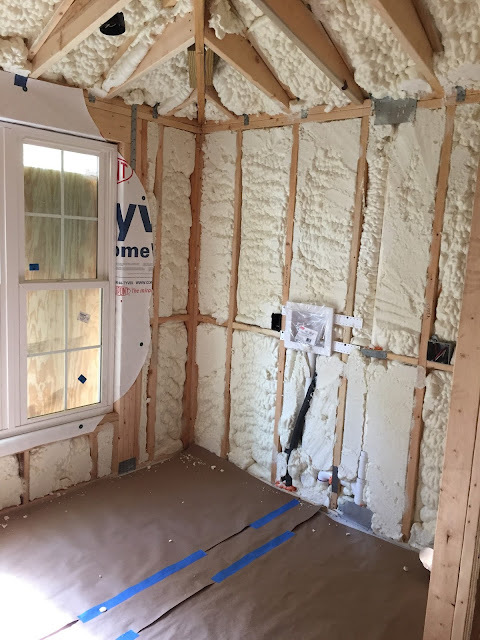 We ran into some structural issues once demo began that resulted in some unexpected work and expense but we were able to raise the roof line in that area and it made things feel more spacious inside the laundry room once the wall went up. 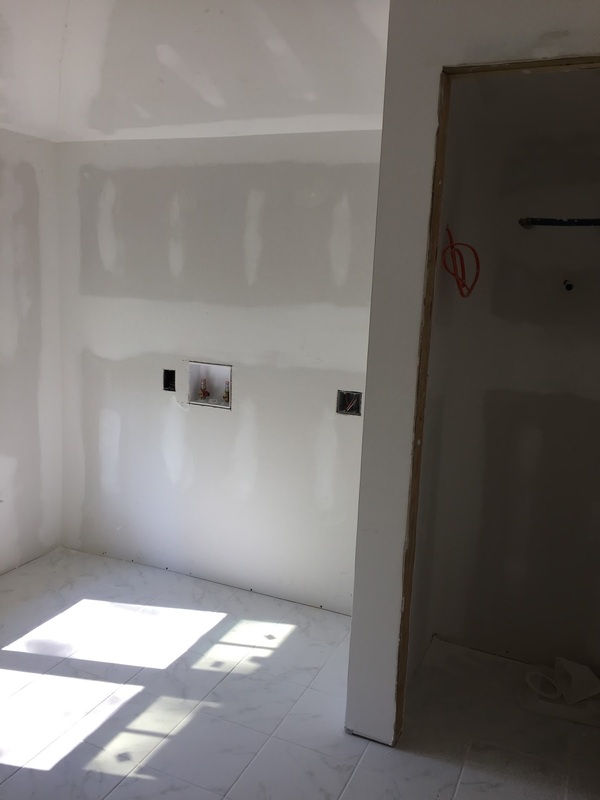 Normally I want as many big windows as possible but we had to remove a window in order to fit in a washer, dryer, and closet for the water heater. I felt the need for these things outweighed keeping that window. To compensate we added a new, larger window that faces the front yard (it's only framed out in the photo below). Last but not least the walls were taped and mudded, and trim was added. We painted the walls with Sherwin Williams "Buoyant Blue". Since we had a little extra space after the washer and dryer were installed the carpenters built me a unit with shelves to give extra storage. 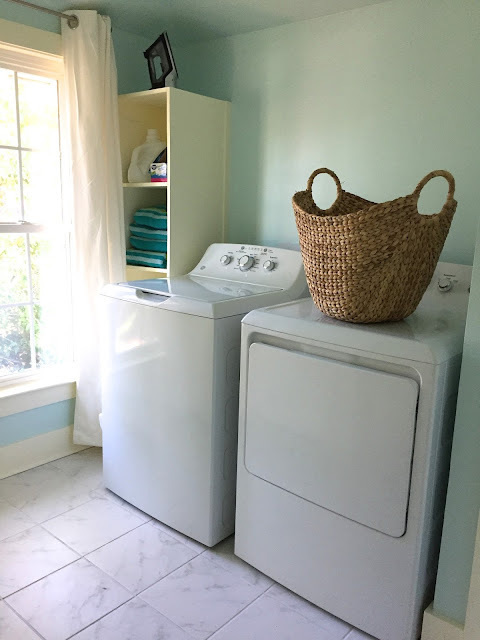 Facing the washer and dryer is a lockable owner's closet where we can store personal items when the house is being rented out. The big double window let in lots of light. 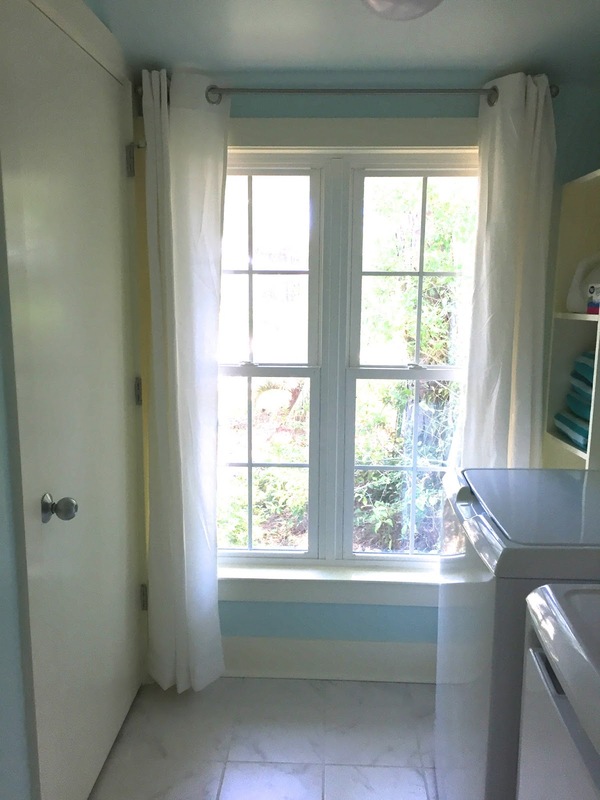 And that's the laundry room!